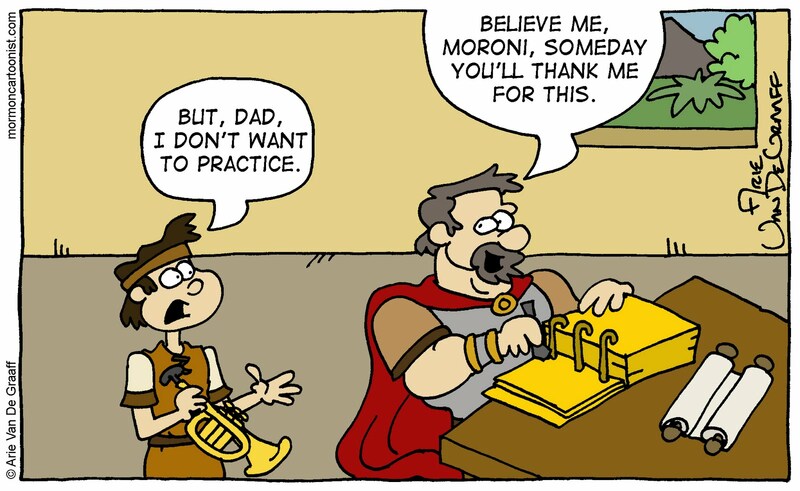 I bet you Moroni's grateful that his dad insisted he learn a brass instrument and not a percussion like he wanted. This one's great. Much funnier than I could ever come up with. 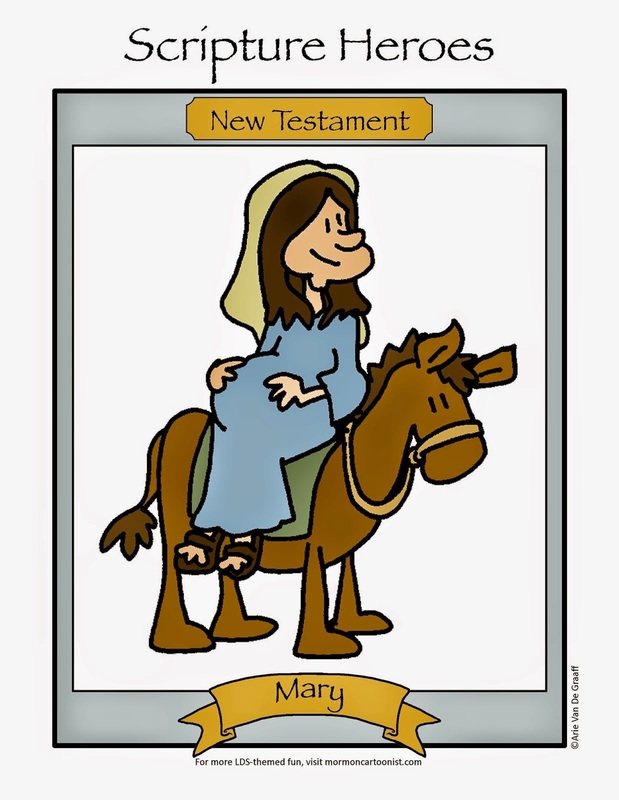 Plus, I love the idea of Mormon having artwork on his wall. Oops! I wasn't looking closely enough. I guess that's a window. Duh. 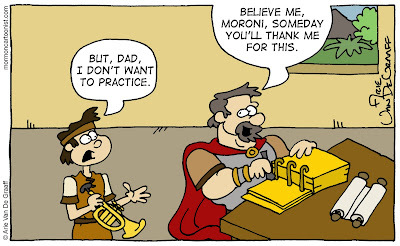 Now--in order to not make me look so stupid--you should put a picture of Solomon's temple on the wall in the background. Better yet a painting of Samuel the Lamanite preaching on the city wall.